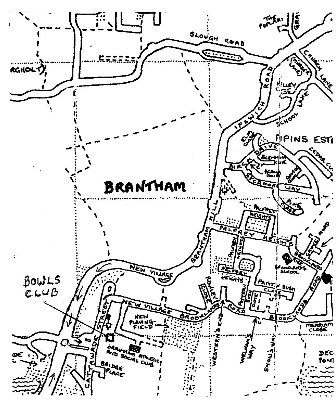 From Ipswich direction: Take A137 to Brantham. 1 mile past The Bull P.H. at the roundabout turn left then immediately left again. Follow road round to the right and take 1st right by the side of the Village Hall. The bowls car park will be directly in front of you. From Colchester direction: Take A137 to Brantham going under the railway bridge at Manningtree station. When you reach the roundabout turn right and follow the instructions as above.